Setup - In-game options(/cfg) or in the file ShestakUI\Config\Settings.lua. Screen resolution - All resolutions above 1280 pixels horizontally. Screen mode - Full screen. If you have a MSBT: In game use slash command: "/settings msbt". If you have a DBM: In game use slash command: "/settings dbm". If you have a DXE: In game use slash command: "/settings dxe". If you have a Skada: In game use slash command: "/settings skada". - ShestakUI ... main interface and everything else. - ShestakUI_Config ... in-game config. 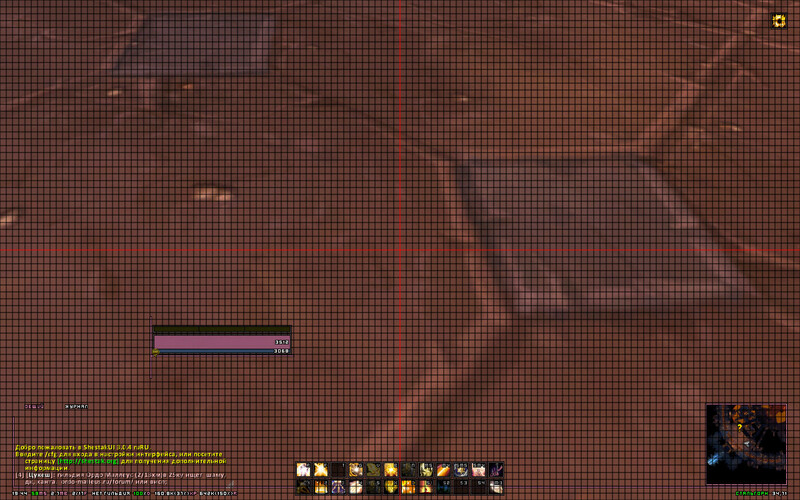 - ShestakUI_Filger ... visual buff/debuff/proc tracking. - BaudErrorFrame ... lua errors collector. - alDamageMeter ... lightweight dps/heal meter. /moveui - Moving interface elements. /ej - Open Encounter Journal. /en - Enable addon. Changes will be made after UI reload. /en Filger - Enable addon Filger. /en Butsu - Enable addon Butsu. /dis Filger - Disable addon Filger. /dis Butsu - Disable addon Butsu. /resetconfig - Reset ShstakUI_Config settings. /enemycd - Enemy cooldowns test. /pulsecd - Self cooldowns pulse test. /threat - Threat meter test. /heal - Switches to "Heal" layout. /dps - Switches to "DPS" layout. /teleport - Teleportation from random dungeon. /ainv - Enabling automatic invitation. * At any time, the latest version is always located on GitHub. Version on Curse / WoWI older. AcidWeb, Aezay, Affli, Ailae, Allez, ALZA, Ammo, Astromech, Beoko, Bitbyte, Blamdarot, Bozo, Caellian, Califpornia, Camealion, Chiril, CrusaderHeimdall, Cybey, Dawn, Don Kaban, Dridzt, Duffed, Durcyn, Eclipse, Egingell, Elv22, Evilpaul, Evl, Favorit, Fernir, Foof, Freebaser, g0st, gi2k15, Gethe, Gorlasch, Gsuz, Haleth, Haste, Hoochie, Hungtar, Hydra, HyPeRnIcS, Ildyria, iSpawnAtHome, Jaslm, Karl_w_w, Karudon, Katae, Kellett, Kemayo, Killakhan, Kraftman, Leatrix, m2jest1c, Magdain, Meurtcriss, Monolit, MrRuben5, Myrilandell of Lothar, Nathanyel, Nefarion, Nightcracker, Nils Ruesch, p3lim, Partha, Phanx, Renstrom, RustamIrzaev, Safturento, Sanex, Sara.Festung, SDPhantom, Semlar, Sildor, Silverwind, SinaC, Slakah, Soeters, Starlon, Suicidal Katt, Syzgyn, Tekkub, Telroth, Thalyra, Thizzelle, Tia Lynn, Tohveli, Tukz, Tuller, Veev, Villiv, Wetxius, Woffle of Dark Iron, Wrug, Xuerian, Yleaf, Zork. *I'm terrible at remembering who to credit, if you feel you should be on the list just let me know. Aelb, AlbertDuval, Alwa, Baine, Chubidu, Cranan, eXecrate, F5Hellbound, Ianchan, Leg883, Mania, Nanjiqq, Oz, Puree, Sakaras, Seal, Sinaris, Spacedragon, Tat2dawn, Tibles, Vienchen, Wetxius. Akimba, Antthemage, Crunching, Dandruff, DesFolk, Elfrey, Ente, Erratic, Falchior, Gromcha, Halogen, Homicidal Retribution, ILF7, Illusion, Ipton, k07n, Kazarl, Lanseb, Leots, m2jest1c, MoLLIa, Nefrit, Noobolov, Obakol, Oz, PterOs, Sart, Scorpions, Sitatunga, Sw2rT1, Tryllemann, Wetxius, Yakodzuna, UI Users and Russian Community. Fixed position chat width and height. Copy the text from the chat. Shift + LMB / MMB / RMB - By nick in chat, trigger command /who. ALT + LMB / MMB / RMB - By nick in the chat, you invite a person into a group. Shift + Wheel Up - Scroll to the top of the chat. Shift + Wheel Down - Scroll to the end of the chat. LMB / MMB / RMB for the 1st square box Chat Bar - Say/Yell/Whisper last with whom you whispered, if you write after /w nick another character, will have to whisper to him. LMB / RMB on the 2nd square box chat bar - say in the guild/officer channel. LMB / RMB on the 3rd square box chat bar - say the group/dungeon. LMB / RMB for the 4th square box chat bar - say the raid/raid warnings. LMB / RMB for the 5th square box chat bar - say in a general channel/trade channel. LMB / RMB for the 6th square box chat bar - say in defense channel/LFG. How do I quickly do a roll of 1-100 ? In the lower right corner of the chat, when you hover the button will appear on it to click the middle mouse button. Where can I change the position of the chat, width, height and font size? Width and height of the chat can be changed in the GUI (/ cfg) or in a file ShestakUI \ Config \ Settings.lua, block "Chat options". The font size can be changed by right-clicking on the tab of the chat and put your font size for each bookmark chat. I do not see the chat notification who won the duel. Turn off the spam filter may be in the GUI (/ cfg) or in a file ShestakUI\Config\Settings.lua, block "Chat options"
How do I copy text from the chat? In the lower right corner of the chat will appear when you hover over the button to copy text from the chat. Why do I only have two tabs, chat, and more than two in the screenshots, how to create more favorites? Right-click on the tab of the chat - Create a new window - Enter the name of the bookmark. Where can I change the channel reduction? Acronyms chat channels can be changed in the file ShestakUI \ Locales \ VASh_YaZYK.lua unit "Chat"
In patch 3.3.5, popup window appears, indicating that you are in the game world friends list BattleNet, where do I change the location? Where I can now turn on the chat? Esc --- Interface --- Talk Time --- Chatter. How do I make outline for text chatting? Not linked the profession and achievements in the chat, why? Right-click on the header of the chat -> Enable interactive mode. How to add a background in chat to improve its readability? Background can be included in the GUI (/cfg) or in a file ShestakUI\Config\Settings.lua, block "Chat options"
I do not use the bookmark "Combat Log", how can I remove it? Bookmark "combat log" can be turned off in the GUI (/cfg) or in a file ShestakUI\Config\Settings.lua, block "Chat options"
Automatic disenchant/press "greed," items "green quality" at the maximum level. How do I move loot window? In the game loot window moves the cursor while holding the ALT by the name of the monster. How do I move group loot window? Window loot is constantly appears at the cursor, how to fix it? Esc--Interface--Management--Open loot window under the mouse pointer. How do I disable the automatic collection of loot? Items of "green" quality automatically disenchant, how can I disable this? In the GUI(/cfg) or in the file ShestakUI\Config\Settings.lua, block "Loot options. the end group dungeons I don't see the Frozen Orb, where is it?